In 2019, Nurses continue to enjoy access to the best student loan forgiveness benefits on the planet, with no other job offering easier or quicker access to forgiveness, cancellation and discharge programs. In fact, the current crop of programs offering student loan forgiveness for nurses provide more flexibility, bigger payouts, as well as faster and easier eligibility conditions than the benefits offered to any other profession. This Guide to Nursing Loan Forgiveness introduces you to all the best benefits available for the 2019/2020 school year, explaining how much money each program offers and detailing how to maximize the chances that your application gets approved. Find out how to eliminate your nursing student loans as quickly and affordably as possible! Is it Enough? Or Should Nurses Get Even More? Feel free to click the links above to be taken to that specific section of this Guide. Let me offer you one quick piece of advice – while there are many excellent programs available for helping nurses deal with their student loans, most of them take years to provide really effective financial relief, so if you’re having financial troubles NOW, then you may need to look at other options as well. What Nursing Loan Forgiveness Programs Are Available for 2019? Forgiveness benefits remain available via a variety of sources, including Federal and State-funded programs, as well as some much smaller, privately-funded scholarships, grants and other similar financial assistance programs that can help with private loans. You’re virtually guaranteed to qualify for one or more of the programs listed below, and the best news is that some of them even allow you to double-dip, qualifying for two benefits at the same time, which could help you wipe out hundreds of thousands of dollars in student loan debt! When reviewing your options, keep in mind that Federal forgiveness programs are typically the easiest to access, and that they also offer the best and biggest benefits packages, but the state-based forgiveness programs are also good, and some of the smaller private Nursing loan forgiveness benefits even offer big amounts of money, they’re just typically a little harder to qualify for since they only approve so many applicants each year. The most difficult part of the process is determining which program, or set of programs, will reduce your loans the most, and the fastest. To find out which will work best for you, read on! Each of these programs offers substantial savings to nurses who qualify for their benefits, and I’ve listed all the programs I can think of that may overlap with a big population of nurses, including the programs for Non-Profit Employees., 501(c)(3)’s, Government Employees of any level (Federal, State or Local), and Military Personnel from any branch of the Armed Forces (Army, Navy, Air Force, Marines, Coast Guard, National Guard, Reserves, etc.). Hopefully you’ll qualify for one of these programs, because the Federally-funded programs tend to offer the biggest and fastest benefits, but if you find yourself saying no to each of these, then don’t despair, because next up will come the State-Funded Nursing Loan Forgiveness Programs, and finally, the Privately-Funded Nursing Loan Forgiveness Programs. If you’re working full-time as a Nurse, you’re virtually guaranteed to qualify for one of these programs, so be sure to read each program’s description and eligibility guidelines thoroughly, because you don’t want to miss out on any of these benefits! Abbreviated the NHSC Program, and previously referred to as the Nursing Education Loan Repayment Program (NELRP), this program was created to help finance education costs for Registered Nurses (RN’s) who work in underserved hospitals and clinics. “Underserved” hospitals and clinics are those located in areas where the Federal Government has determined that people don’t have easy access to healthcare services. The Government offers these benefits to encourage RN’s to move and work in poor urban or rural communities where they are in desperate need of additional nurses, and to tell you the truth, unless you really can’t stand living in a poor area, this is a benefit worthy of your consideration. Under this program, if you’re willing to work for 2 years at a qualifying facility, then you’ll get 60% of your loans forgiven, and if you agree to serve an additional 1 year, then they’ll pay off another 25% of your original debt, giving you up to 85% in total debt forgiveness. That’s up to 85% of your debt wiped out in return for just 3 years of nursing service in a poor urban or rural community, and something that anyone drowning in excessive student loans should definitely consider pursuing. For additional details, please visit my page about the NURSE Corps Loan Repayment Program. Since this program is more widely known as the “Teacher Loan Cancellation Program“, many people don’t realize that Federal Perkins Loans can also be discharged by Nurses and Licensed Medical Technicians too! There’s only one downside to the Perkins Loan Cancellation Program – there aren’t too many people with Perkins loans in the first place! If you’re one of the lucky few that took out a Perkins loan, and you work as a Nurse or Licensed Medical Technician, then you should definitely take advantage of this program, as the benefits are substantial. If you qualify for Perkins loan forgiveness benefits, then you’ll be eligible to have your entire Perkins loan discharged after serving in your field for just five years. There is simply no other forgiveness program that offers complete forgiveness after just five years of any sort of service (including military service), so if you can qualify for this benefit, then you should definitely pursue it. But it gets even better, because this is also one of the only Federal loan forgiveness programs available that offers incremental forgiveness benefits, meaning that you’ll get at least some portion of your student loan debt forgiven for each individual year of service that you complete. For additional details about how the program works, please visit my page about Perkins Loan Cancellation for Nurses and Licensed Medical Technicians. The NHSC’s NURSE Corps Scholarship Program is similar to their forgiveness benefit, except that it was created to help you avoid racking up student loan debt in the first place, rather than getting rid of it after the fact. The way it works is that you can qualify for having all of your higher education costs covered, and for receiving a monthly stipend, which is like a salary paid to you simply for agreeing to go to nursing school! And the best thing about this program is that it’s unlike any other student loan benefit that I’m aware of, since it can be applied before you build the debt, and since it literally pays you a salary (stipend) in addition to covering all of your nursing school-related costs. The NHSC Scholarship covers all the typical costs, like Tuition and School Fees, but it also opened up access to getting money to cover things that most scholarships won’t pay for. What was included in the additional expenses? Things like repeated course work, increases in tuition or fees, attendance at more than a single school, summer school courses, and books, instruments of clinical supplies, uniforms, computers, travel expenses and even insurance! But the best part is that the monthly stipend was set to a higher amount than has ever been offered before: $1,344 per month (before taxes) to help with “living expenses”, which really meant that it could be used for ANYTHING you wanted to spend it on. For more information about how the program works, please visit my page about the NHSC NURSE Corps Scholarship Program. Ever since the introduction of President Obama’s Student Loan Forgiveness Program in 2007, the Public Service Loan Forgiveness Program has been regarded as one of the best forgiveness benefits available to anyone, let alone nurses. 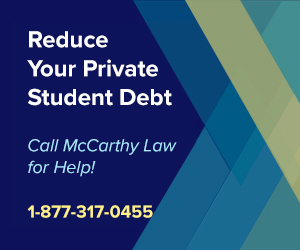 PSLF benefits provide complete Federal student loan forgiveness for serving in a qualifying “Public Service” role and making income-based monthly payments on your student loans for 10 years, with no cap on the amount of money that’s allowed to be forgiven. And that is what makes PSLF so unbelievably powerful – it’s not forgiveness based on some percentage of your outstanding debt, but complete and total forgiveness for all of your debt, no matter how much you still owe. Whether you’ve got $450,000 worth of debt, or just $10,000 of it left after making 10 years worth of qualifying payments, all of it will be wiped out once you’ve made that final, 120th payment, and secured your right to the benefit. Though capping the benefit has been discussed in the past, and our Education Secretary Betsy DeVos keeps trying to kill PSLF, there’s still no indication that the program will be removed and I would recommend that you get enrolled in it as soon as possible to ensure you’ll be grandfathered into receiving the benefit, should anything change in the future. To find out exactly how PSLF works, please visit my page about the Public Service Loan Forgiveness Program. This program was created to help all medical personnel with their loans, but it’s another excellent opportunity for Nurses to wipe out a ton of debt, quickly. Offering up to $50,000 for only a 2 year service commitment, you’d be hard-pressed to find a bigger and faster benefits package than the one offered by the the NHSC LRP Program, so I think this one should rank at the top of your list for potential participation. Yes, you’ll have to work at an NHSC-approved site with a high HPSA score (meaning a location that desperately needs additional assistance), but because the benefits package is so big, and earned so quickly, I think it’s entirely worth the effort. To find out all the details about how NHSC LRP works, please visit my page about the National Health Service Corps Loan Repayment Program. This program was created to encourage medical personnel to get involved in the treatment of substance abuse disorders, primarily targeting the opioid crisis. Like the other NHSC LRP programs, it requires a multi-year service commitment (in this case it’s 3 years), working at an approved HPSA facility, but it offers up to $75,000 in forgiveness benefits, which is honestly the biggest and perhaps best loan forgiveness package currently on offer. To get all the details on how NHSC SUD Workforce LRP works, please visit my page about the National Health Service Corps Substance Use Disorder Workforce Loan Repayment Program. The Non-Profit Student Loan Forgiveness Program was created to provide additional benefits to working for a 501(c)(3) organization, but I’m certain that many nurses will be able to take advantage of this excellent benefit since there are so many non-traditional heathcare providers operating as not for profit companies, and employing nurses. Technically, Non-Profit Forgiveness works exactly the same as the Public Service Loan Forgiveness Program, which I explained above, but many people don’t realize that PSLF benefits are also available to employees of non-profits, so I present it separately to ensure that no one who can take advantage of these incredible benefits gets left behind. The best part about Non-Profit Forgiveness (PSLF) is that you don’t have to work in an HPSA or other shortage type facility; the only determining factor that decides whether or not you’ll qualify for the benefits is if you’re employed at a 501(c)(3), and working full-time! One of the best things about Non-Profit Forgiveness benefits is that they’re not only capable of wiping out 100% of your loans in return for just 10 years of service as a full-time 501(c)(3) worker, but that they wipe out your loans without exposing you to additional tax liabilities! If you’re already employed at a not for profit company, then you’ll definitely want to look into this program, and if you aren’t yet employed, but have the opportunity to work for one, then I’d highly consider pursuing that role. To find out exactly how Non-Profit Forgiveness works, please visit my page on the Non-Profit Employee Student Loan Forgiveness Program. This program was created by Government Workers, for Government Workers, and offers the same excellent benefits we’ve already covered under the Public Service Loan Forgiveness Program, or PSLF, since it’s technically the same thing. The way this works is that if you work full-time for the Government in any capacity and at any level, be it Federal, State, or even the local-level, you qualify for PSLF forgiveness, and get access to the single most powerful loan forgiveness program on the planet. Tons of people who work for the Government have no clue about this program’s existence, especially State and Local Government Employees, which is why I always try to call it to my visitor’s attention. Obviously, I love this program, because it supports traditional Government workers, but also Police Officers, Firefighters, Park Rangers, and anybody else who works for the Government, which means that they provide a public service, and I think it’s a just reward for their contributions to the community. For details on exactly how the Government Employee program works, visit my page about the Government Employee Student Loan Forgiveness Program. There are actually several Military Student Loan Forgiveness Programs (one for each service branch), and they’re all technically referred to as the Military College Loan Repayment Program, or CLRP. Each Service Branch gets to determine their own specific benefit amount, but the maximum forgiveness benefit is typically offered by the Army, and has historically been limited to $65,000 in lifetime forgiveness benefits. The trick with the College Loan Repayment Program is that it’s only available to NEW military personnel, who have no prior military service, and who are willing to agree to enlist for a certain period of time. One thing that’s vital to understanding how CLRP works is that you absolutely must have the benefits written into your service contract, otherwise you’re almost certainly never going to receive them. As I mentioned, each branch of the military gets to set their own forgiveness amount, and most of them are still offering significant assistance this year, but again, these benefits are only available to people who’ve never served in the military before and are signing up for the first time, and they must be written into your enlistment contract or you won’t be able to utilize them. Also, it’s important to keep in mind that this form of forgiveness IS taxed, but in a way that makes it at least a little more convenient; each year when you qualify for your forgiveness benefit, your branch will send the money directly to the Department of Education (you didn’t think they’d just hand you a check, right? ), and they’ll withhold a percentage of the amount they’re sending on your behalf to account for taxes. *NOTE: The Marine Corps no longer participates in CLRP. As I mentioned at the beginning of this page, many states also offer their own nursing loan forgiveness benefits, created to encourage local residents to take up roles in the industry, but also to poach much-needed nurses from other states. State-funded nursing loan forgiveness benefits aren’t universal, and while some states have excellent programs, others don’t offer any financial assistance at all. It’s a bit of a luck of th draw sort of deal, where if you happen to live in the right spot, you’ll be eligible for some amazing financial assistance, but if you live in the wrong place, then you’re totally out of luck. To find out if you’ll have access to any state-funded nursing student loan forgiveness benefits, find your state from the list below and read up about what’s available. Alaska may have a relatively tiny population, especially for such a huge landmass, but they do offer an excellent nursing student loan forgiveness program called the SHARP program, which offers loan forgiveness to nurses willing to work in shortage areas. Each year, SHARP benefits offer up to $27,000 in forgiveness, depending on the nurses specific position, but at that rate, it’s worth looking into potential career changes just to qualify for the benefit, even if you only plan on serving in that new role for a couple years. Your official position must be on the list of approved roles, and you must work at an eligible facility, plus your employer must be willing to match the benefit offered by the Alaskan Government, but again, for $27,000 per year, it’s definitely worth looking into. The Grand Canyon State offers an excellent nursing loan forgiveness benefit, appropriately titled the “Arizona Loan Repayment Program”, which helps all health care professionals (not just nurses) pay down their student loans in return for working in a qualifying role at an eligible facility. And while we may not think of Arizona as being a well-funded state, this program offers incredible benefits, with up to $50,000 in loan forgiveness assistance for each year of service as a full or half-time nurse practitioner. The only catch to this program is that you have to agree to work at one of the qualifying AZ clinics, hospitals or health centers for at least two years. However, again, at the rate of $50,000 per year, it’s almost undoubtedly worth it. California isn’t just the most populous state in the union, it’s also one of the most generous! For those looking to get into higher positions within the field of nursing (especially management or lead roles), California’s Bachelor of Science in Nursing Loan Repayment Program is an excellent opportunity. This program offers up to $8,000 the first time around, with a secondary qualification possible that includes up to $11,000 in additional compensation. That’s $19,000 in loan forgiveness for nurses, which is certainly worth going after. To get the details on this program, visit our page about California Bachelor of Science Nursing Loan Repayment. Colorado is another state with an excellent forgiveness program, offering benefits for both half-time and full-time nurses, but requiring three years of service at a qualifying facility. That’s a little bit longer than some of the other state-funded programs call for, but the benefit here is quite substantial, with up to $25,000 available to half-time nurses and up to $50,000 available to full-time nurses. If you already live in Colorado, or if you’re considering a move, then the Colorado Health Service Corps Program is one that you’ll definitely want to consider. Those from the Sunshine State have access to an awesome program called the Florida Nursing Student Loan Forgiveness Program (NSLFP), which offers up to $4,000 per year in loan repayments, for a maximum of four years. That’s $16,000 in potential loan forgiveness, and it’s eligible to anyone licensed as an LPN, RN, or ARNP in the state of Florida. For details on these benefits, please view our page about Nursing Student Loan Forgiveness in Florida. The Aloha State isn’t just a gorgeous place to live, featuring incredible weather and unbelievable scenery, it’s also an excellent place to work off your nursing school debt, as eligible nurses can receive significant financial benefits via The Hawaii State Loan Repayment Program. Qualifying for the benefit requires working full-time for two ears, or half-time for four years, but in Hawaii? That time is sure to pass quicker than virtually anywhere else. Unfortunately, I can’t tell you just how much you’ll be able to earn from this benefit package, as the program is funded by grants, meaning that the amount of money you’ll receive is determined based on the amount of funds available at the time you qualify for the benefit. Known best for its potatoes, Idaho also provides excellent benefits to qualifying nurses, or other health practitioners, willing to work in Health Professional Shortage Areas for two years. Anyone who qualifies for the Idaho State Loan Repayment Program is eligible to earn between $5,000 and $25,000 per year, for a maximum period of two years total. This program is offered to health care workers in nonprofit and public settings only. 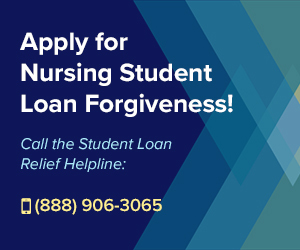 If you need nursing loan forgiveness in Illinois, then you’re in luck as well! Their Nurse Educator Loan Repayment Program offers some excellent benefits, including up to $5,000 in annual student loan repayment assistance, with a maximum of four years of eligibility. That’s $20,000 in loan forgiveness available to anyone who has a qualifying outstanding balance (a Federal student loan that was used to pursue their nursing education expenses), but it’s limited in who qualifies for the benefit because you’ve got to be a nurse educator to qualify. For details, check out our page about the Illinois Nurse Educator Loan Repayment Program. Iowa’s nursing loan forgiveness program is called the “Iowa Registered Nurse & Nurse Educator Loan Forgiveness Program”, which is a bit of a mouthful, but another benefit package worth looking into, as it offers paying down up to 20% of your outstanding student loans in return for qualifying service. One of the best things about this program is that it’s available not just to nurses themselves, but also to anyone who has a master’s degree (or higher degree), and who teaches nursing at an eligible higher educational institution (college or university). Also, employment requirements are pretty laid back for this program, with anyone working at least 1/4 time being eligible for the benefit. There are limitations, however, to the amount of money you can get each year, with the last reported annual maximum being $6,658. Finally, forgiveness benefits are only allowed to be accumulated for up to five consecutive years. The Kansas State Loan Repayment Program offers up to $20,000 in nursing forgiveness benefits for a two year commitment to working in an official Health Professional Shortage Area. This program is eligible to all health care workers though, not just nurses, and isn’t a guaranteed benefit either, as it must be applied for, and approved. The Bluegrass State, Kentucky, has an excellent repayment program that requires private participation from your employer, a sponsor organization or an individual. To receive any money from the Kentucky State Loan Repayment Program, you’ll need to convince somebody to agree to match whatever amount the state Government is going to give you. And that may be a tough sell, as Kentucky’s program provides $20,000 to $40,000 for a two year commitment, with the dollar value determined based on your specific role. Louisiana’s State Loan Repayment Program offer assistance to nurses willing to work in inner-city and rural communities, offering up to $15,000 per year of time served in a Health Professional Shortage Area or with a nonprofit healthcare organization. This program does require a 3 year commitment, an active nursing license in the state of Louisiana, and good standing on your outstanding Federal student loans (meaning, you cannot be late with your payments, in default, etc. ), and it also requires that you work full-time throughout that three year period. Maryland’s Janet L. Hoffman Assistance Repayment Program provides nurses working in low-income areas, and Health Professional Shortage Areas, with nursing forgiveness benefits. To qualify for the benefit, you’ll have to have received your nursing degree in Maryland, you’ll have to work full-time, and you cannot be earning over $60,000 per year. You’ll receive an annual award based on the amount of outstanding student loan debt you still owe, with the benefit ranging between $1,500 and $10,000 each year. Also important to note is that you can only receive this benefit for up to three years. Michigan’s State Loan Repayment Program provides financial assistance to nurses working in underserved areas, requiring them to serve full-time and agree to working for at least two years. To qualify for the program, you’ll need to serve in a Health Professional Shortage Area, but you’ll be eligible to get up to $200,000 in loan forgiveness benefits over a time period of 8 years. Minnesota’s nursing forgiveness program is relatively limited in it’s scope, requiring that you work as a licensed practical nurse, or registered nurse, and focusing on assisting the developmentally disabled, or within a licensed nursing home, and for a period of no shorter than two years. It’s possible to extend your eligibility for another two year period, giving you a total of four years worth of benefits, and the benefit is limited to $5,000 per year, meaning that your total possible assistance under this program is $20,000. Montana’s nursing forgiveness program doesn’t offer as much as many other states, and is impossible to predict sine the benefit is determined based on the number of applicants and available state-funding, meaning that there could be lots of money available, or none. That said, the Montana Institutional Nursing Incentive Program was created for registered nurses and offers benefits to nurses working in full-time positions at Montana state hospitals and prisons. The final requirement for this program is that you must owe at least $1,000 in federal student loans, but as long as you satisfy all these conditions, you’ll be eligible to receive something. Nebraska’s Loan Repayment Program offers a pretty substantial benefit, with up to $20,000 per year available to healthcare professionals who are willing to make three year commitments to working in designated shortage areas. That’s not bad, but there is one catch here in that the program is another of the “matching” types, requiring local entities to match state-funded dollars to cover the financial assistance offered to eligible candidates. New Hampshire’s State Loan Repayment Program provides up to $45,000 to nurses willing to work full-time in a Health Professional Shortage Area. This benefits packages requires that you work for at least 36 months int he state, but it also allows an optional extension of an additional 24 months, with an additional benefit of up to $20,000 more. For a total potential benefit of $65,000, this is one of the better state-funded programs on offer, and one that’s totally worth looking into. 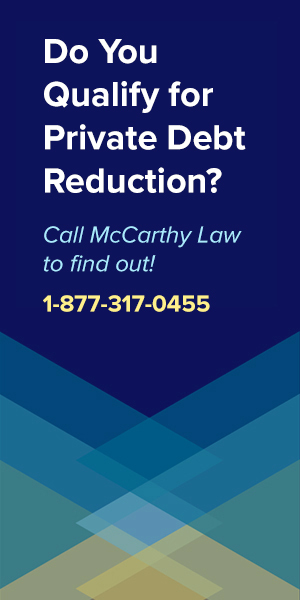 The Primary Care Practitioner Loan Redemption Program of New Jersey (that’s the official title of the Garden State’s nursing forgiveness benefit package), offers up to a maximum $120,000 in financial assistance for a service commitment of four years. This program requires you to work in a Health Professional Shortage Area or underserved area of the state, and to work full-time for at least two years, with a optional two year extension that gets you access to additional funds. The amount of money you receive will be based on how long you serve (2 years, or 4 years), as well as your remaining outstanding student loan balance. The longer you serve, and more you owe, the more you’ll get. New Mexico’s Health Professional Loan Repayment Program requires you to be a resident with an active nursing license in the state, but offers some pretty significant benefits for full-time nurses. Advanced practice nurses who agree to a two year service commitment in a medical shortage area are eligible to receive up to $25,000 in forgiveness benefits per year, while anyone working in a state-designated Health Professional Shortage Area can receive up to $35,000 per year. And those are huge benefits, especially considering that I don’t see a lifetime limit on the program, meaning that you could keep going back year after year for additional forgiveness. Nurses from the Empire state have access to some awesome loan forgiveness programs as well! The Nursing Faculty Loan Forgiveness Incentive Program was created to increase the number of nursing faculty members teaching in New York State, and these benefits are absolutely gigantic! This is an annual award offering up to $8,000 per year, with a maximum lifetime payment of $40,000, offered to New York State residents who are licensed registered nurses with graduate degrees and who have taught in the field of nursing. For details on applying to this program, check out our page about the New York State Nursing Faculty Loan Forgiveness Incentive Program. Sorry to those in the Lone Star State, because while Texas does a lot of things bigger and better than other states, apparently they haven’t got a single program offering loan forgiveness to nurses. The Buckeye State’s “Nurse Education Assistance Loan Program” offers Ohio nursing students to grab some loan forgiveness benefits, and if even open to those nursing graduates who go into instruction, rather than actual nursing. The program provides a maximum annual benefit of $1,500, but nurses willing to complete eligible service in Ohio for five years are also offered up to 100% loan cancellation, which is an amazing offer – one of the best in the entire country. Oregon’s Partnership State Loan Repayment program (abbreviated SLRP) lets nurse practitioners, registered nurses and other healthcare providers earn repayment assistance by working in state-defined Health Professional Shortage Areas. This program does require a two year long service commitment, with the option to extend your contract for an additional two years to earn extra financial assistance. I can’t tell you exactly how much is offered here, because the amount of forgiveness you can receive depends on your nursing position, time served and your total remaining student loan debt. Pennsylvania’s Primary Care Loan Repayment Program provides registered nurses working in Health Professional Shortage areas with repayment assistance. The total available loan forgiveness benefit is based on your employment, with full-time workers eligible to receive up to $60,000, and half-time workers eligible for up to $30,000 in forgiveness. This program requires a service commitment of two years. Nurse practitioners and registered nurses working in Pensylvania-designated Health Professional Shortage Areas can qualify for forgiveness relief under the Rhode Island Health Professional Loan Repayment Program. This program requires a two-year service commitment for full-time nurses, and four years of service for part-time nurses, with forgiveness amounts based on your specific role, and time served in the state. Rhode Island is one of only states with a second Nursing student loan forgiveness program, as their Nurse Educators Loan Forgiveness Program also provides up to $5,000 of forgiveness relief per year, for a maximum of four years total. Tennessee’s Graduate Nursing Loan Forgiveness Program encourages nurses working in the state to become nursing educators. This program requires an active license in nursing and that you be enrolled in a nursing higher education program. To earn the benefit, you need to work in the state as a nursing educator for four years or longer, but once you’ve satisfied your service commitment, you’ll have your entire loan amount forgiven. Texas’s Rural Communities Health Care Investment Program was created as an incentive to encourage people who are not physicians, but do work in healthcare, to move to, get trained in, or remain in the Lone Star State. Vermont is home to the Educational Loan Repayment Program for Nurses, with offers up to $10,000 in repayment assistance for service commitments of 12-24 months. This program requires that you work at least 45 weeks per year, with at least 20 weekly clinical hours, but it sounds like it can be agreed to again and again, allowing you to earn a total of far more than $10,000 in total lifetime forgiveness benefits. Virginia’s State Loan Repayment Program offers up to $25,000 in annual forgiveness benefits to working nurses who earned an eligible post-baccaleureate master’s degree or certificate in nursing. To qualify for this benefit, you need to agree to serve at least two years within the state. One great thing about this program is that it also offers the option to agree to extend your service commitment for an additional $10,000 to the annual benefit. Two important requirements for this program are that you must serve at least 40 hours a week in the field, and that you earned your nursing degree from a higher education institution that is accredited by the National League of Nursing. Washington State provides up to $75,000 for a three year service commitment to nurses willing to work as primary care providers. Called the Health Professional Loan Repayment Program, this benefit is only eligible to people who work in Health Professional Shortage Areas, but because there aren’t a lot of eligibility requirements beyond the service commitment, I think it’s definitely worth pursuing. If you are willing to agree to a two-year nursing service commitment in a rural, underserved area, then you can take advantage of West Virginia’s State Loan Repayment Program, which offers up to $40,000 for two year commitments, and the option to extend to four years of service for an additional $25,000 in loan forgiveness benefits. Wisconsin nurses can earn up to $100,000 in loan forgiveness with the Health Professionals Loan Assistance Program, which requires a three year service commitment at a position at a facility in an urban or underserved area. Wyoming offers up to $20,000 to nurses who agree to a two-year service commitment, via the Wyoming State Loan Repayment Program. This benefit does require serving in a Health Professional Shortage Area, as well as working full-time, but it sounds like it’s available to all nurses, regardless of specific position or job title. If you don’t qualify for any of the Federally-Funded or State-Funded Nursing Student Loan Forgiveness Programs listed above, have no fear, because private organizations, associations and wealthy individuals have chipped in to make sure that there are alternative options for additional funding via excellent forgiveness benefits that have nothing to do with the Government. In a nutshell, Health Professional Shortage Areas (abbreviated “HPSAs”) are geographic areas, population groups, or specific facilities that the Federal Government has determined to be understaffed and in need of immediate additional personnel. HPSAs are typically (though not always) found in either inner city environments, or rural communities, and are often understaffed because the populations they serve are viewed as relatively undesirable patients (often they’re poor, uneducated and relatively unhealthy compared to normal populations). HPSAs are also usually found in geographic areas where highly educated, well-trained and upwardly mobile people (like the average nurse) may simply not want to work or live, because they’re dangerous, boring, or simply remote. However, it’s important to keep in mind that choosing to serve in an HPSA opens up all sorts of additional nursing loan forgiveness benefits, like faster or larger annual repayment benefits that can help you wipe out your loans far sooner than you’d be able to do by serving in a highly desirable location. Each year, the U.S. Health Resources & Services Administration reviews data about healthcare demand and staffing across the country and updates their list of designated HPSAs, so each year, you have to make sure that your region, population or facility remains designated as an HPSA, or you could lose eligibility for the benefits you’re seeking. For all the specific details on how the HRSA determines HPSAs, please visit their page about Health Professional Shortage Areas here. To help ensure that all potential HPSAs are evaluated within a timely manner, the HRSA actually allows individuals to suggest new HPSAs via a complicated designation process. What this means is that you can actually apply to have wherever you work designated an HPSA, and if you can convince the HRSA that you’re right, then your employment may end up counting, so be sure that you’re aware of how this process works by visiting the official HPSA designation process page, here. Where Can I Find the List of Approved HPSAs? Fortunately, the HRSA makes it extremely easy to find a list of approved HPSAs, via their HSPA Finder Tool, which you can access here. Any time you’re thinking about changing jobs, or even just looking at job listings, I would highly advise that you consult this tool to see if you can find any eligible HPSAs in areas that you don’t think are too terrible, because again, it can be totally worth working in an HPSA since it can allow you to access benefits far faster than you’d otherwise be able to earn them. Also, oftentimes working in an HPSA allows you to experience much more senior roles far earlier than you’d get them under normal conditions, since these understaffed areas almost always have a high need for effective nurses, so choosing to serve in an HPSA could be a great jump-start to your career, or open up possibilities for moving into management, or new specialty areas. If you feel like your career has hit a standstill, or if you’re just having trouble getting hired, look into the HPSAs because you’ll find it far easier to land a job in an HPSA due to the lower volume of applicants each job listing receives. Medically Underserved Areas (MUAs) and Medically Underserved Populations (MUPs) refer to a similar thing as HPSAs (explained above), and are also used to help determine access to nursing student loan forgiveness benefits. Typically, the benefits are going to be better for anyone willing to work in an MUA or MUP than they would be if you chose to work in a more ideal location. MUPs are similar to MUAs, but assigned to groups of people living within a geographic area, and typically assigned to groups of people who are poor, uneducated, culturally awkward and/or non-English speaking segments of the population… basically, the lower-class. I’m not going to use the politically correct language that the official websites do to explain who these people are, so please don’t think I’m being insensitive, I just want you to know what you could be getting into when we’re talking about who you may be helping if you choose to work in an MUA. IMUs range from 0 to 100, with 0 areas being completely underserved (basically akin to third world countries without any healthcare infrastructure whatsoever), and areas with a 100 score being places with all sorts of medical personnel. To count as an MUA or MUP, a population needs to score a 62 or less on the IMU scale. If you feel that the area in which you work deserves to be labelled as an MUP, it is possible to apply for the designation by contacting the HRSA and providing them with details on why you feel they should be considered. To find out how to handle this, please see the HRSA’s official page on teh MUA/MUP designation process, here. Where Can I Find the List of Approved MUA/Ps? The great thing about MUAs and MUPs is that it’s pretty easy to figure out whether or not any area has been approved by the HRSA, and you can even search for MUAs and MUPs based on a variety of search criteria, like by State, or by County. This can be extremely helpful if you’re thinking about getting a job within an MUA or MUP, but want to make sure that one exists near wherever you currently live, or where you want to end up living after starting your new role. Once again, just like they created a tool to search for HPSAs, the HRSA has also made it quite easy to find a list of the current designated MUAs and MUPs scattered across the country, so unlike the old days, this process no longer feels like pulling teeth. If you’re interested in finding a location or population that’s approved as an MUA or MUP, please visit the official HRSA MUA/P finder tool, here. What Other Forgiveness Options do I Have? If you don’t qualify for any of the nursing student loan forgiveness programs listed above, I’ve got some good news: there are ALL SORTS of additional Forgiveness and Discharge programs currently available to ALL SORTS of different people. And the best news is that nurses are likely to access many of the other programs I haven’t listed here, because virtually every population center wants more nurses, and all sorts of organizations and associations have generously constructed awards, scholarships, grants and other financial assistance programs specifically tailored to nurses. My recommendation for anyone who’s buried in student loans and unable to figure out what you should be doing with them is to check out some of the other high-value programs listed on my website. If you need Help with Federal Student Loans check out my pages on Federal Loan Forgiveness Programs, The Borrower’s Defense Against Repayment Program, the Closed School Student Loan Discharge Program, Federal Student Loan Bankruptcy Discharges, Federal Student Loan Consolidation Programs and Federal Student Loan Repayment Plans. 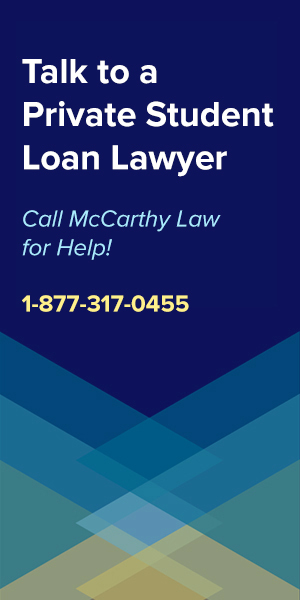 And if you need Help with Private Student Loans, visit my pages about Private Loan Forgiveness Programs, Private Student Loan Consolidation Programs, Private Student Loan Bankruptcy Discharges and Private Student Loan Default Help. Also, if you’ve got any questions about what specific programs are available to you, then please do feel free to ask them in the Comments section below. I do my best to answer any and all questions within 24 hours of being posted. 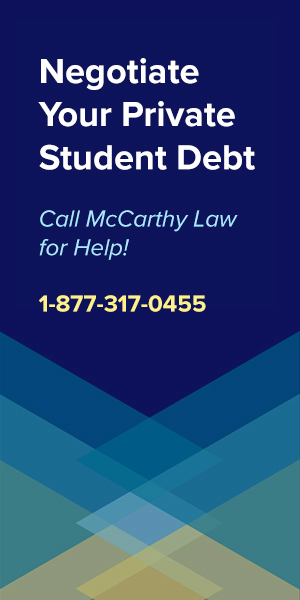 One extremely important thing to keep in mind when dealing with student loan forgiveness benefits is that virtually all forgiveness options will lead to some kind of tax liabilities, except for the benefits offered under the Public Service Loan Forgiveness Program. The reason this happens is that the IRS considers student loan forgiveness to be a form of “taxable income”, so when you receive forgiveness, you’ll need to claim the amount of debt you get forgiven on your IRS paperwork when you file taxes that year. Unfortunately, this can end up causing people more trouble than it solves for them, by creating a short-term financial disaster where they were facing long-term financial struggles previously. How? Because you may be qualifying for very low monthly student loan payments, even potentially a payment of $0 per month, but the year you receive forgiveness, you may end up needing to claim $10,000, $30,000, or perhaps even over $100,000 in forgiveness benefits as part of your taxable income for the year. And even if you’re a low earner, and paying only 25% in taxes on your income, 25% of $100,000 is $25,000, meaning your tax bill for the year would be whatever you had to pay on your regular salary, PLUS the $25,000 in taxes you now owe on your forgiveness benefits. To try and help you prevent getting hit with a huge tax bill on your forgiveness benefits, I’ve created a page about Student Loan Forgiveness & Taxable Income, which you can find here. And for those of you who are already having trouble with the IRS, be sure to check out new site about dealing with tax debt issues, called Forget Tax Debt. On this site, I cover complicated tax-related topics like How to Get Free Help with IRS Tax Debt, Filing and Paying Back Taxes, Tax Debt Forgiveness Programs, Settling With the IRS, Benefits of the IRS Fresh Start Program, and even How to Avoid IRS Phone and Mail Scams. Is it Enough? Or Do Nurses Deserve Even More? There will always be some debate about how much forgiveness any profession truly deserves, but I’d like to hear from you nurses out there whether you think you’re being offered enough, or if you think more assistance is necessary? Also – what’s been your experience with utilizing these benefits packages? Have you qualified for and received forgiveness under any of the programs I listed above? Are you trying to receive it, but having problems? Let me know what you think about the available nursing loan forgiveness programs, or about your experiences in using them in the comments section below! Also, while I’ve got your attention, if this page helped you to better understand the benefits available to you, please help me out by spreading the word! Consider emailing it friends, sharing it on Facebook, tweeting about it on Twitter or posting a link to it on Reddit. The more eyeballs who see my content, the more time I can dedicate to preparing new comprehensive guides like this one. Thank you for visiting, and be sure to check back regularly for updates! What is a Medically Underserved Area or Population (MUA/Ps)? Can a retired Nurse Practitioner qualify for the Plublic Service Loan Forgiveness program? My wife is a retired Nurse Practitioner/Registered Nurse. Her student loans were consolidated over 20 years ago and we have never missed an on-time payment. The PSLF seems to require that she be employed at the time of applying for the PSLF. Is that correct, or is she eligible after retirement? It’s possible, but unlikely, because you must be employed full-time in a qualifying role during the 10 year period that you’re making monthly payments. MAYBE you were lucky and she ended up qualifying because she was enrolled in the right repayment plan (one of the Income-Driven Repayment Plans), and because her role qualified, but it’s a long shot. I’d look into it and ask the Student Loan Servicing Company, but just be ready for a denial because it probably won’t work out. I am a BSN working is an RN in Jackson County, MO. I believe the hospital is a not for profit (Saint Luke’s East Hospital). I have been working there for about 3 years. I have about $25 K in Student loans and I believe I have 1 Perkins loan. HELP me get free money to help pay this never ending debt!!!!!!!! Contact your HR department to find out if you qualify for PSLF or any of the other Nursing Student Loan Forgiveness Programs! There’s a good chance that you may qualify for SOMETHING, maybe via the Non-Profit Loan Forgiveness Program (technically PSLF), or because of your Nursing role! I am a CPNP currently working for a large NFP children’s hospital but am currently working to open a pediatric primary care office. I have worked full – time for over 26 years as an RN-APRN and would like to see about loan forgiveness. Do you know of any nurse loan forgiveness programs for APRN’s opening a rural, pediatric primary care clinic? I looked over the guidelines to become a Federally Qualified Health Center but holy cow…I don’t think there’s enough time in the day! Any suggestions? I’ve always worked in San Antonio and Seguin- which I believe are both areas of underserved populations. Yes, there are plenty of options for rural nurses, but most of the time it requires being employed by what you mentioned, a facility that counts as an HPSA (Health Professional Shortage Area). Unfortunately, there’s really no way for me the streamline the process for you – you’ll have to look into the programs I listed on my Nursing Loan Forgiveness page, see which one you think you qualify for, then double check whether or not your facility and role count as an HPSA. The only other suggestion I could give you would be to contact whoever runs your HR Department and ask them to look into this for you. My thinking is that part of their responsibility as HR people is to be fully-informed on the laws (and benefits programs!) that impact their employees. This may or may not work, and it all depends on who handles your HR! Good luck! I just graduated with my BSN and moved back to CA. I do not have a nursing job yet. Can I still sign up for any programs if I am not employed as an RN yet? You’ll need to get employed first! All of the common Nursing-based forgiveness programs come with employment requirements; basically, you need to be working full-time and at an eligible facility. I don’t think you’ll find anything that will help until you’re actually working day to day in the field. Sorry if this double-comments, my browser freaked out! I am curious if these programs (Nursecorps and all similar) would forgive PRIVATE loans. I want to pursue my BSN but I already have a BA and an MA so I won’t get much in federal loans. It all depends on your unique situation. You have to look into the details and eligibility conditions for each program, then determine which ones you satisfy. Is this info still current? I am curious about getting private loans forgiven or repaid on my behalf, as opposed to federal. Thanks! Yes, it’s still current. Are you working as a Nurse? I got my BSN in Nursing in Alabama and went straight to work in Tennessee where I have been for 6 years now. I work with Ascension Health Ministries that is a non profit organization. Any forgiveness programs that you know of to help me out? Ive met with nothing but frustration after trying to get my loans forgiven. I went back to school in my 40’s to become an RN. Took a career that pays less than what I was making because I was so passionate about becoming an RN. I was told there are many loan forgiveness programs available but have discovered that not to be the case for me. I applied to the one where your loans are forgiven after making 10 years of payments. I applied, got approved, and thought “ok, I have 4 more years of paying this, I can manage that”. Then Im told my 6 years of paying dont count, that I have to start 10 years over. I also received a letter (from Fedgov.org) saying my balance is ZERO. I thought wow- answer to prayer, thank you Lord! I called to confirm and they said they have no such record on file. The other program requires you to take a job in an underserved area (many sites listed on the website) andTHEN you apply for forgiveness and you are not guaranteed to be approved. So….I have to change jobs, move, then possibly be denied? This is been an absolute NIGHTMARE for me. When you were told that your 6 years of payments didn’t count, was that because you were on the wrong repayment program? Only Income-Based Repayment Programs count towards the forgiveness benefits available via PSLF (which you must have been trying to use since it’s the only program that gives forgiveness at 10 years). If you received a letter saying that your balance was zero, you may have an opportunity to pursue legal action and get a court to force the lender to stop pursuing your debt. Even if that letter was a mistake, it may be possible to use that to go after them with a lawsuit. I would consult with an attorney to see if you can sort that out, and try to push for some kind of discharge. The underserved area deal is definitely a good opportunity, but like you said, the forgiveness does come at the end of the service commitment, and you need to make dang sure that you’re following all the program requirements to ensure your time will qualify, so you do need to be extra careful about pursuing that benefit program as well. I think you may want to consider calling into one of the assistance lines where people help you sort out what your loans look like and what you should actually do about them. I think you’ve got a special chance here at pursuing a discharge because of that letter you received stating that your balance was zero. It’s possible that the loan servicer screwed something up, and if they can’t absolutely prove that they own your debt, you will qualify for a complete discharge. 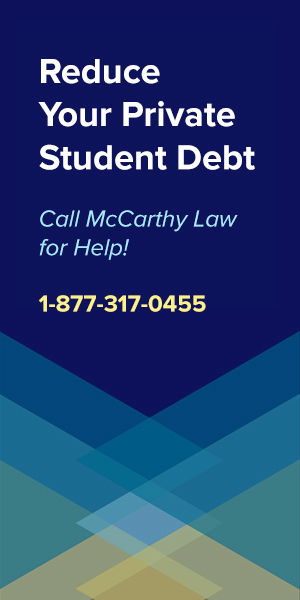 I would recommend calling the Federal Student Loan Relief Helpline to see if they agree with my thinking that you may be able to challenge the legal validity of your loans. If anyone can help get you out of paying back this debt, it’s these guys. You will have to pay them for their assistance, but if you’ve got a huge loan, it may be your best bet at wiping it out quickly. 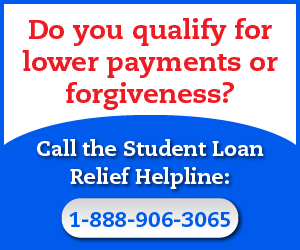 You can reach the Federal Student Loan Relief Helpline by calling them at 1-888-906-3065. For the Federal student loan forgiveness program, the “qualifying payments” that I would have to make for the 10 years were so big that, 1, I wouldn’t be able to actually make the payment, & 2, there wasn’t going to be any debt left at the end of 10 years. That’s not really a fair gig & it is certainly not well publicized that they set your payment. I gather they determine how much your “qualifying payments” are based on income, or family income. Is there any way around that? I can’t make a student loan payment that is larger than my mortgage payment. I hate to be the bearer of bad news, but these payments are set based on income, and for a reason. Federal Student Loan Forgiveness programs were created created for people who cannot afford to pay back their loans because they borrowed more than they can possibly afford to pay back. Sounds like you invested in a good degree program and ended up with a good, high-paying job? You may not qualify for any of the benefits because of that. There really isn’t any way around the calculations, as they use the IRS reported income and they combine your income with your partner’s. The program was created with rules, and they follow these rules in every case. I am in a program that requires annual tax documents be sent in. I currently pay 0 a month. And after 10 years my loans are forgiven. This program is based on income. However, i need to send in my tax documents for 2018 and am not sure where to do that at. Can you assist me? Contact whoever services your loans. They’re the ones who can help you with this process. Your Loan Servicer is whoever you send your monthly payments to (or who you WOULD BE paying if your payments weren’t $0). Question: So, if I consolidated my student loans with Sallie Mae, now Navient, does that now mean I don’t qualify for any of these programs? Would you suggest I then call Navient to see what options I may have? It depends on HOW you consolidated them, but it may be possible that you are no longer eligible. You can either call Navient, or you can call one of the services that charges you for information, but who will handle all the paperwork and processes for you. 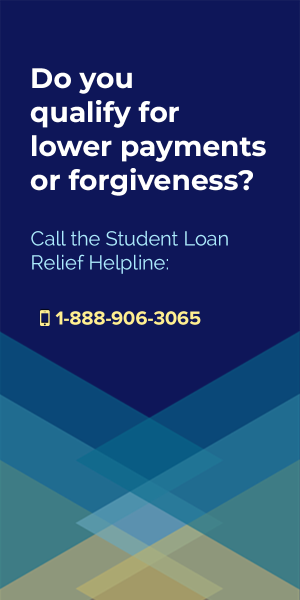 If you choose to outsource the work, call the Federal Student Loan Relief Helpline (they’re my favorite operator in this space). You can reach them at 1-888-906-3065. The Public Student Loan Forgiveness Program is a JOKE! I have been paying on my student loans for 6 years. So after a long application process I was hopeful of being approved and only paying 4 more years. So I consolidated then applied. Guess what- the 6 years I’ve been paying DONT COUNT! That’s right- if I go with this program- I have to pay 10 years (120 payments) starting now. This program is USELESS TO ME. Worse decision I ever made was going back to school to be a Nurse- not to mention the low staffing and shortages in the hospitals! Don’t blame the program for failing to look into the details. You didn’t pay attention to how it works, and must not have been enrolled in one of the eligible Federal Student Loan Payment Plans for the past 6 years, or all of your payments WOULD HAVE counted. At any point in time over the last 6 years you could have spent 20 minutes looking up the rules and found out that you were on the wrong path, but you assumed everything would be ok, and now you’re seeing the results of that lack of attention to detail. Don’t ruin a good thing that’s working for many people just because you couldn’t play by the rules. I’m an lpnworked in long term nonprofit facility for 5 years in Ohio.now I work as an lpn in home health care,still owe 5000 in student loans and wonder if there might be a forgiveness program for me? You’ve got some good options! First, the Public Service Loan Forgiveness Program, which offers complete loan forgiveness after 10 years of qualifying Public Service work (working at a Non-Profit would count, so would a 501(c)(3)). Second, the Ohio Nurse Education Assistance Program. I explained it in this post, but if you Google it, you can find additional details. You’ll want to apply to that as soon as possible. I have worked for the same company as a nurse for 14yrs. We were a not for profit agency for the first 8yrs of my career. Unfortunately we were sold to a profit hospital organization in 2011. Ive been looking at options for student loan forgiveness with out leaving the innercity hospital patient population I love. Do you know if there are any loan forgiveness programs that take into consideration the 8yrs of not for profit status I have provided? Most of the Nursing Forgiveness Programs (and other loan forgiveness programs) don’t offer eligibility for retroactive employment, but you may be able to find something that lets you qualify, especially at the state level? Did you read through my entire post on Nursing Loan Forgiveness? It’s possible you may qualify for one of the programs, especially if you’re working in an inner-city hospital… there’s a good chance they’ll be part of the Critical Shortage Areas or Critical Need Facilities that make it easier to earn forgiveness. You’re going to have to look into it though – I can’t answer this question for you. My name is Caroline. I am a new graduate with my RN, BSN. I live in Atlanta, Georgia. Is there any repayment program for my nursing program. I am working at a non profit Mental Health Facility for juvenile. I would like to know if that is an eligibility facility. You need to look it up and see if your institution is on the list of Critical Shortage Facilities. I’ve got a link to the place where you can do that in the content of my post. Read the entire post and you can figure this out for yourself. I recently just finished my Master’s degree in Nursing (with that comes a large loan). I just started working as a Nursing Instructor at a local college in Upstate NY. However, the salary/hourly rate is not more than that of a bedside RN. I am contemplating returning back to the bedside; however, my passion is teaching and promoting new nurses in the field. With a family of two toddlers, I cannot just pick up extra shifts. Any ideas or guidance to help with loan forgiveness or assistance. Thanks for your help. Your site is very beneficial. Check out the update I just made to this page, which includes details for all State-funded Nursing Student Loan Repayment Programs. New York State offers some great benefits, and I think you’ll end up qualifying for them. If you decide that you want to remain a teacher, and NY isn’t offering great benefits to teachers, then check out the other states, because some have specific programs for Nurse Educators. It may require moving, but if it gets your loans paid off… it’s worth considering. Hello I have a Bachelors degree in Biology and considering going back for my BSN. Will loans from my biology degree qualify for loan forgiveness since some of the classes I’ve previously taken count towards BSN credits? Looking for a position in the Milwaukee area. willing to travel to urban or rural areas up to 60 miles. How do I find a position or facility that qualifies for this program? My girlfriend is an RN at a non-profit assisted living facility in Minnesota. Are there any programs available to her for loan relief or discharge? There are DEFINITELY programs for Nurses in Minnesota. I just updated this page to show details for each state’s Nursing Student Loan Forgiveness Program, so check out the new material here for details. I have been a LPN for many years (since 1992). At one time I was enrolled and via challenge exams had 3 classes left to get my AS Nursing from a 2 year school. Life happened and I was unable to continue my education. I am unmarried and have really no family to speak of…I would like to return to school for my BSN and would like to return to school full time without working so that I can concentrate and finish off this education. I know most students my age have partners or family so housing is not an issue. Do you know if one of the Federal programs would pay for living on campus as well as the classes. Thanks. I think Pell Grants and some of the other Federal student loan programs do offer money for non-tuition related expenses, like cost of living, housing, transportation, etc. I would look into what’s available there, and I would definitely do some research on grants and scholarships as well. There are all sorts of programs available to aspiring nurses. Google will be your best friend in this process. Just make sure you include “2016” in your searches so that you can get the most relevant information (you don’t want details about scholarships or grants that expired years ago, for example). Does anyone know the cap the Federal government will pay for an LPN? I have been in forbearance so long my principal is huge. I just didn’t know if there was a cap for an RN or LPN. If you qualify for the Public Service Loan Forgiveness Program, there is no cap. Also, you may want to look into Perkins Loan Forgiveness for Nurses & Licensed Medical Technicians, as you may qualify for that program as well. I am just about to finish up my BSN and am working as a district nurse for a public school in rural Southern Illinois. Any chance for help with student loans? The nurse CORPS program states 32 hours per week, but I am off work for 2 months in summer but get paid salary all year. My advise would be to do whatever you possibly can to get eligible for the PSLF program, as I think that’s the most effective student loan forgiveness program available today, but the NURSE Corps loan forgiveness program is a good one too. You may still be able to qualify for it, even with those 2 months off during the Summer. I’m not sure how that would play into the requirement… but I’d suggest you contact your loan servicer to ask them about it. 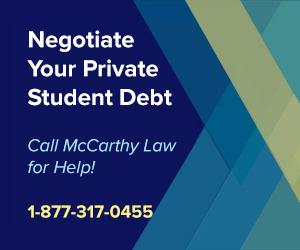 If they say no dice, then consider getting a second opinion from a local attorney with experience in student loans. Did you read my page about the NURSE Corps Program? You can find all the details on this program here. Hello, my name is John, I was wondering if there were any loan forgiveness programs in Louisiana? I’ve got a huge list of State-funded Student Loan Forgiveness Programs on the home page of the site (www.forgetstudentloandebt.com), but I don’t see any for Louisiana. That doesn’t mean that nothing is out there, but I didn’t find any when I last checked. Try Googling for details. I am currently an RN working in a public health position with the underserved population. I graduated approx 15 years ago and at the time consolidated all of my loans with a company called ACS Education. I was told awhile back that my loans don’t qualify for the forgiveness option because of this type of consolidation. Do you have any experience with this? I have searched the federal loan website for guidance but to no avail. Thank you in advance for any help! Unfortunately, what you were told is true. If you’ve consolidated loans with a private company, then they will no longer be eligible for Federal Student Loan Forgiveness Benefits. Hi, My name is Hardeep samra. I am a registered nurse and have some student loan for my BSN that I have done on line. I have been making payments almost since 2012. I have worked in CA for five year in skilled nursing facility,now moved to Seattle, WA and got a job in Hospital that is under served area,but has no HPSA score. I don’t qualified to receive forgiveness through that. Is there other program that I can be qualified for? Look into the Public Service Loan Forgiveness Program to see if you qualify for it. Hello, I am an LVN in the Loan Star state working in a county hospital who services the uninsured and underinsured of our county. Your previous post indicated that we have no programs available, yet I qualified for the Public Service Loan forgiveness program as long as I work for them 10 years. Am I being fraudulently used or is this valid? It says Texas Education Guarantee. Contact whoever services your loans to verify that you’re eligible for the benefits. You didn’t give me enough information to be sure one way or another, but your loan servicer will be able to tell you everything. I already have a substantial amount of student loan debt. I’m enrolled in the public loan forgiveness program through my state job. I’m wanting to go back to school to become a Nurse. Will the program wipe out my existing loans also once I become a nurse and work at a qualifying facility? Yes – if you do qualify for the Public Service Loan Forgiveness Program, that program will wipe out your existing loans after you’ve made 120 full, on-time, scheduled monthly payments on the loans. You’ll also have to make 120 full, on-time, scheduled monthly payments on your new loans before they’re wiped out, but it should work for both situations (the old and new debt). 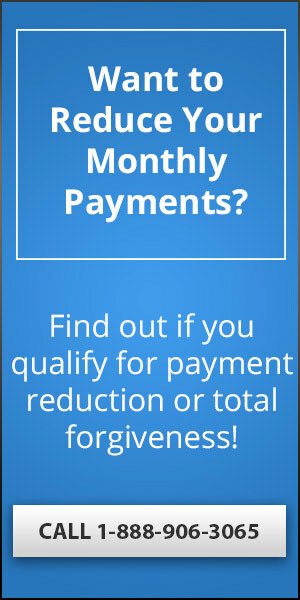 I would like to know is there someone that can look at your loan and tell you what forgiveness programs you qualify for. Also are VA hospitals considered under served facilities. As far as I know, there is no one who has a total comprehensive knowledge of all forms of forgiveness, but you should technically be able to get that information from whoever services your loan (the people you send your checks to). Just keep in mind that while they are legally obligated to inform you of your opportunities, it’s in their best interest NOT to (since it could cost them revenue), so don’t take everything they say as the final word. The only way to really be sure that you’re covering all your bases is to the research yourself. My website and Google searches will be your best way to accomplish that task and make sure you’ve turned over every possible rock. VA Hospitals may or may not count. You’ll have to check the actual list to see if your specific facility appears on it. Do you know if these repayment/forgiveness programs work for private loans, or it are they just federal loans? Thank you in advance for your help. Each program is different. Some can help with Private loans, but most are exclusive to Federal debt. For a quick, but detailed breakdown of all the available Forgiveness programs on offer right now, please visit my page called How to Get Rid of Student Loan Debt. There are LOTS of options for Nurses here, and some of them work for Private debt too. I am a FNP in Iowa and have been practicing for close to 10 years now. Is there any programs available for helping me with loan forgiveness?? As far as I know, there’s nothing officially offered by the state of Iowa, but did you check the programs outlined on this page? There are a variety of Federally-funded benefits packages that you may be able to take advantage of. Hi, I am a nurse practitioner working in MT. I have $19,000 left to pay on my $30,000 in student loans from Graduate school. These were unsubsidized stafford loans that I consolidated at graduation. I am wondering if I qualify for any of these programs? Thank you in advance for your time! I can’t tell you because I’m not sure what your employment position is, how much time you’ve been working, etc. There are lots of variables involved with these programs. I would recommend that you contact your employers HR department to ask for advice. If they can’t offer it, try getting in touch with whoever services your loan. While they won’t want to write off your debt, they are legally obligated to inform you of your options. Is there a list of Ca hospitals that qualify for this, so I can narrow down my application process? Try using the HRSA HPSA Finder Tool here. I am an RN trying to determine where I can find a job that qualifies for loan forgiveness/repayment. Is there a good comprehensive search for this? And if I secure a qualifying position, are the private loans I used to finance nursing school eligible for loan forgiveness/repayment? Yes! I forgot to add a link to the HPSA Finder Tool, but you can use it here. This tool will allow you to search for eligible facilities in your area! My wife is almost done with her NP program she took online. 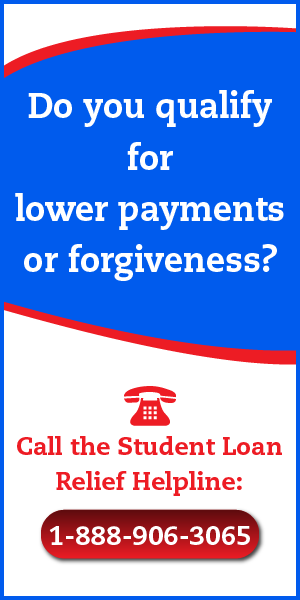 Do you have a link or information where we can learn more on the Loan Forgiveness Program? Everything I know about Nursing Loan Forgiveness was included here. If you need more details, your best bet will be heading to Google. What if I am already working in an underserved area as a Public Health Nurse? If I am already working with the underserved population, can I still be eligible for the BSN forgiveness programs if I don’t plan to leave my job/area anytime soon? As long as you satisfy the eligibility conditions, you should qualify for the benefits. Are you an RN? If so, and your hospital (or wherever you work) counts as a “qualifying facility”, then you should be able to receive forgiveness benefits under NELRP. Otherwise, look into the Public Service Loan Forgiveness Program, which you’re virtually guaranteed to qualify for as a nurse. Since my loans are capped at $7500 per yr my parents have taken out $20000 per yr – are there any forgivness since those loans led to my BS RN? I would bet that you’ll qualify for the Public Service Loan Forgiveness program, but as far as your parents loans go, I don’t know that you’ll be able to find much relief. Most of the loan forgiveness programs don’t offer a lot of assistance to parental loans. For details, please see some of the other articles in the Federal Loan Forgiveness section of this site.